When it comes to getting your oil changed or your carpets cleaned, you likely look at the reviews online and make sure that you’re not only getting a good deal but that you’re getting a good service as well. More importantly, if you want to get any plastic or cosmetic surgery done, make sure that you are choosing to go with someone reputable. This article will discuss the importance of choosing a board-certified surgeon and things to look for when shopping for a surgeon. Read on to learn more. Among looking for a board certified surgeon, you should also look for a surgeon that has good bedside manner, good reviews, and years of experience. If you don’t know where to start when looking for a surgeon, you know that you will be in the best hands when you choose one of our Board Certified surgeons from Associated Plastic Surgeons & Consultants. 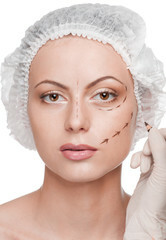 Choosing the right plastic surgeon is the best thing you can do when deciding to get work done. If you would like to learn more about things you should look for in a surgeon or if you would like to schedule an appointment with one of our staff members, contact our office today to schedule a consultation appointment!